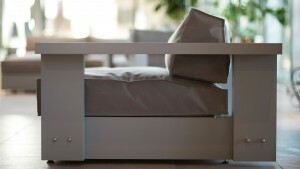 LOFDesign is a 100% Dutch brand with exclusive and high quality lounge furniture. Harold de Vries together with designer Bart Vos decided it was time to create beautiful, robust and durable outdoor lounge furniture under the name “LOFDesign”, which stands for Luxury Outdoor Furniture Design. LOFDesign is 100% made in Holland which represents a luxurious and timeless design. Made of high quality materials. Detailed workmanship. Innovative use of new materials and highly qualified in providing customized solutions in dimensions together with the high variety of choice in colour and fabrics. The style of LOFDesign is based on a mix of modern design with simple smooth lines. By using one of the most new en innovative fabrics and materials, we are in search of new trends in the outdoor life. By bringing these components together, we try to design our lounge furniture.